The Nigeria Communications Commission (NCC), has announced that Nigeria’s participation at the annual International Telecommunication Union (ITU) conference this year will focus on the growing broadband Internet market in the country, this was made known through its spokesperson, Tony Ojobo. The conference is going to hold in Busan, South Korea from September 25–28, 2017, and the Nigerian delegation will be led by the Minister of Communications, Adebayo Shittu. According to a press statement that was released, Executive Vice Chairman of the NCC, Umar Danbatta, as well as other industry stakeholders and operators will also be part of the delegation. ITU Telecom World 2017 is a global platform for major industry players, SMEs, countries and organisations to network and share ideas around new technologies that would lead to better connected societies across the globe. Despite Nigeria’s robust and fast-growing telecom sector (with about 150 million active connected subscribers and 110% teledensity), the NCC believes more needs to be done to deepen broadband penetration. 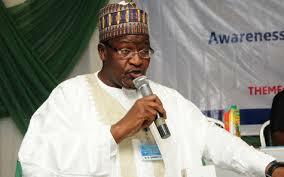 Based on the National Broadband Plan (NBP), Nigeria is expected to hit 30% broadband penetration by 2018. Broadband penetration currently stands at 21%, according to the NCC. As a way of further pushing that line of thought, Nigeria will be hosting an investment forum at the ITU Telecom World 2017 event and ‘Broadband Nigeria’ will be the focus of discussions.